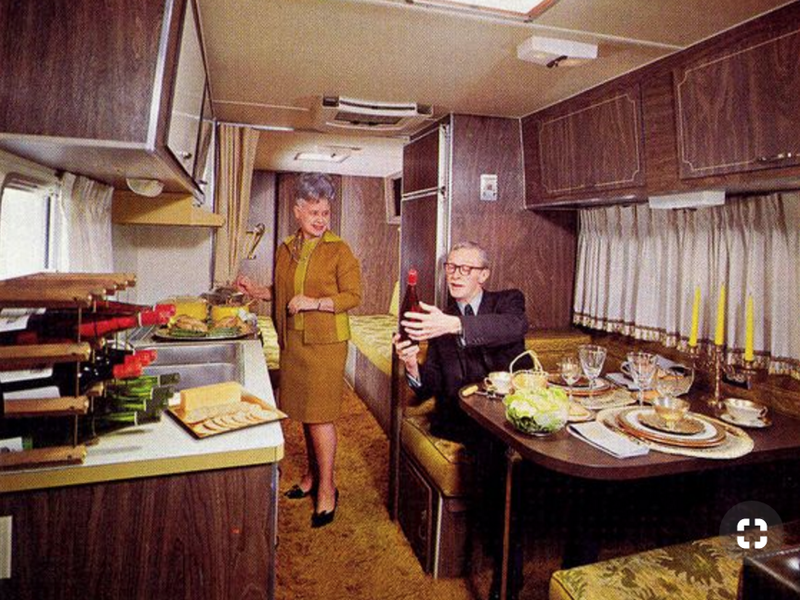 The first travel we made in the USA, we still had the original (OEM) dinette table in place. After the makeover we left the space open and only used little side tables. I liked it a lot for 3 years until the kids came with an update request and that was a proper dining table. That made me think of making a nicer one then the OEM we had. Ah well, I could not decide so we re-used the old one instead (Luckily we kept it). It only needed a bit TLC (cleaning, sanding and clear paint). In the past it only had 1 leg and wall attachment (which is much easier to get seated). But the wall is so beautiful that a table attachment would totally destroy it. Besides it is very handy to pick up the table and place it outside incase you forget your camping table! (As we did). We bought 4 new tapered legs and still hope to find original old ones…. We are over the moon with this old / new dining table. During the Italy (Sardegna) trip in 2018 we tested it and it does fall when we hit the brakes. This can happen because we placed the legs more to the middle which is needed so we can still fold the top in and we are able to open the drawer. We solved the tipping over by adding lots of weight on it during traveling having a large bowl with fruit on it (or when we are not using it screw the legs out and store the flat pack on the bed or on top of the coach). We also found out that it is such a great design with the folded sides and spaces for the drinks that we totally fell in love with this vintage piece. The majority of RV-ers are not Glampers. And that is a good thing because then you have more time to do other stuff. Well I am a “Glamper” (= Blend of glamorous +‎ camper, parallel to Glamping). Combine Glamper with fresh homemade food and you spend a lot of time in the kitchen preparing your diners.